Samsung is resisting the urge to make new smartphones and instead focusing on revamping its existing range with every New Year. Just like it did before, it has announced upgraded smartphones in its Galaxy A series. The Korean electronics company has announced the latest Galaxy A series which includes the 5.7-inch A7, 5.2-inch A5 and the 4.7-inch A3. While its J series it aimed at first-time smartphone users, the A series will appease to the well-heeled smartphone buyer with its premium metal frame and 3D glass rear. The A series smartphones will be available in Black Sky, Gold Sand, Blue Mist and Peach Cloud colour variants. The 2017 A series smartphone are certified IP 68 dust and water resistant which means if you are a bit careless with your smartphone it will be okay. The A Series will now be equipped with ‘Always On’ Display which works just like Nokia Glance Display and USB Type C connectivity. The new smartphones also come with Samsung Pay and their front cameras can take help from the bright AMOLED display to serve as the screen flash. All the three Android Marshmallow smartphones in this series will have a fingerprint sensor on the home button along with Samsung Secure Folder technology. Let’s take a look at the three smartphone one by one in the following paragraphs. We start with the biggest of the lot, the one that features a 5.7inch Full HD Super AMOLED display. 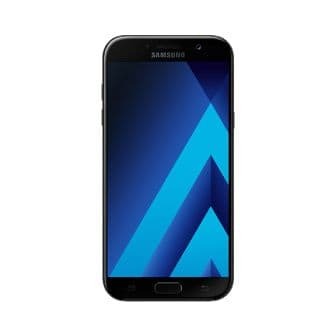 The Samsung Galaxy A7 (2017) has a 1.9GHz octa-core processor and 3GB RAM. The internal memory of the Samsung Galaxy A7 (2017) stands at 32GB and you get the option of expanding the storage to up to 256GB. The rear camera has a resolution of 16MP and so does the front one. 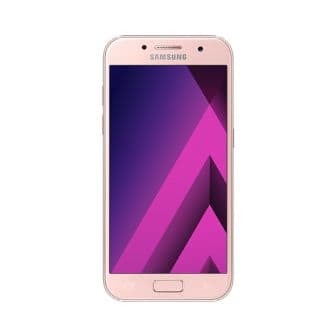 The Samsung Galaxy A7 (2017) is powered by a 3600mAh battery that supports fast charge. 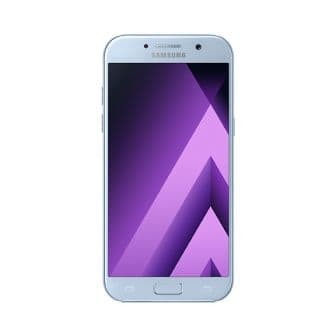 The Samsung Galaxy A5 (2017) sports a 5.2 inch Full HD Super AMOLED display and has a 1.9GHz octa-core processor and 3GB of RAM underneath the hood. The internal memory remains the same at 32GB and you get the option of expanding the storage to up to 256GB with help of microSD cards. The cameras on the Samsung Galaxy A5 (2017) are same as its big brother, two 16 MP cameras one on the front and one on the rear. The Samsung Galaxy A5 (2017) is powered by a 3000mAh battery. This is the smallest of the lot with its 4.7inch HD resolution Super AMOLED display. Underneath we find a slightly less powerful 1.6GHz octa-core processor and 2GB of RAM. The internal memory stacks up at 16GB and the microSD card slot gobbles up cards of up to 256GB. The rear camera has a resolution of 13MP and the front camera maxes out at 8MP. The Samsung Galaxy A3 (2017) is powered by a 2350mAh battery. The Samsung Galaxy A (2017) series will be available in Russia in early January and expand to other markets later on. The pricing information is yet unknown.